Hank Williams Jr.'s "A Country Boy Can Survive," a glorification of old-fashioned values and down-home know-how, still defines the rocking songs and defiant public image of country music's favorite son, Bocephus. Upon its original release as a single in Jan. 1982, the song spoke to country folks across America. Instead of celebrating his native South, Williams saw the entire nation's hills, back roads and little towns as breeding grounds for God-fearing, self-sufficient citizens. A signature song on par with "Family Tradition," "A Country Boy Can Survive" stands out beyond its celebration of redneck boys raised on fishing with trotline and heeding the preacher man's end-time warnings. That slow-building guitar work revs up as the story hits full stride, with such surviving Nashville Cats as pianist "Pig" Robbins working his usual magic and Memphis guitar legend Reggie Young playing sitar. With these elements, Williams and producer Jimmy Bowen crafted a fast-driving version of modern country music that remained unmatched until Garth Brooks rolled out "Rodeo." The lyrics depict country folks as distrustful of big cities and disinterested in the stock market. Despite their differences, the narrator becomes good friends with a New York city slicker and even sends his presumably soft friend some homemade wine. Yet when a mugger with a switchblade knife murders the city-dweller, it feeds the pre-existing negative stereotypes in the narrator's mind. If Broadway nights are so inherently dangerous compared to what happens beneath the Western skies, then how are the country folks the survivors in this scenario? The survivor element seems to have less to do with dodging danger and everything to do with a conscious resistance to change. Beyond cherishing his 4-wheel drive pickup truck and proudly chewing Beech-Nut, it's a sense of stubbornness that defines our narrator. As the song goes: "And we say grace, and we say, ma'am. And if you ain't into that we don't give a damn." We like who we are, and you can't make us change! 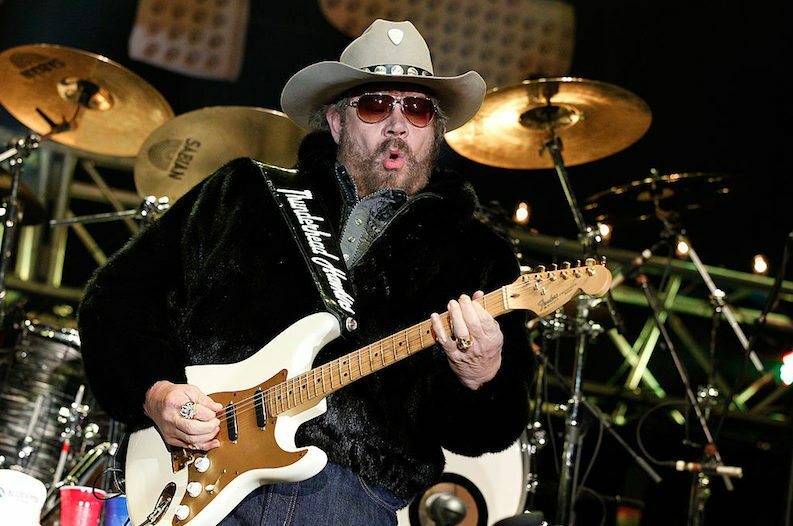 This presentation of defiant lyrics, driven by blues and rock elements, furthered a reputation Hank Jr. built as soon as he stopped being the clean-cut singer of his dad's songs. While Williams' original narrator refused to change with the times, its performer willingly revisited one of his best-known tracks with the post-9/11 "America Will Survive." It was the second take on the song pulled from the headlines, following former pro wrestler Chad Brock's Y2K version, featuring Williams and George Jones. In 2007, Williams revisited the original song with a 25th-anniversary re-release, complete with a music video. Even with its extended shelf life, and the abundance of good old boys raised to value the stubbornness presented here as survival instincts, the song somehow never topped the charts. Upon its original release date, it reached the number two spot, enjoying less success than another The Pressure is On album cut, "All My Rowdy Friends (Have Settled Down)."